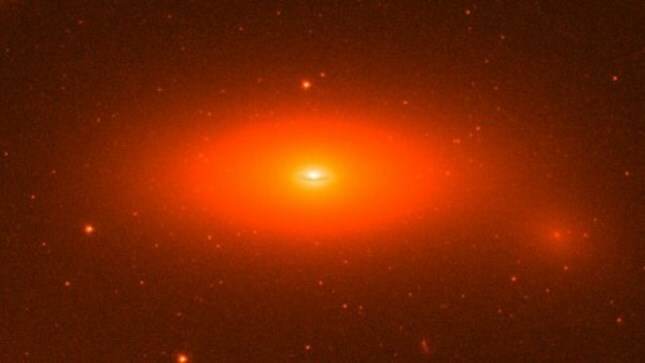 NGC 1277 is a lenticular galaxy located in Perseus constellation. It lies at a distance of about 220 million light years from Earth. The galaxy has an apparent visual magnitude of 14.7. It is notable for having an extremely heavy supermassive black hole at its centre, one of the largest black holes ever found.